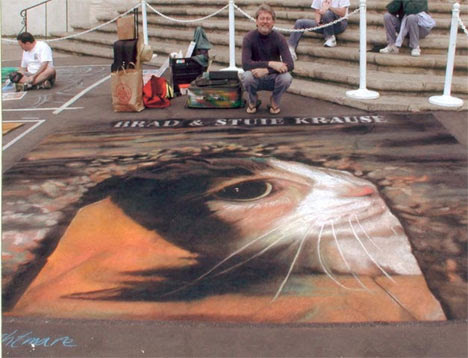 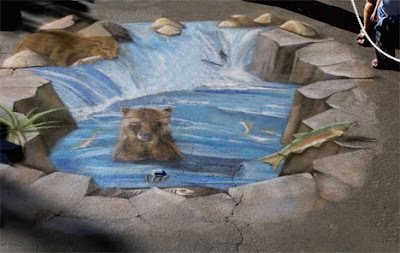 Rod Tryon has been adorning the streets of the world with his chalk drawings for more than 20 years, and was first inspired to try anamorphic designs in 1996. 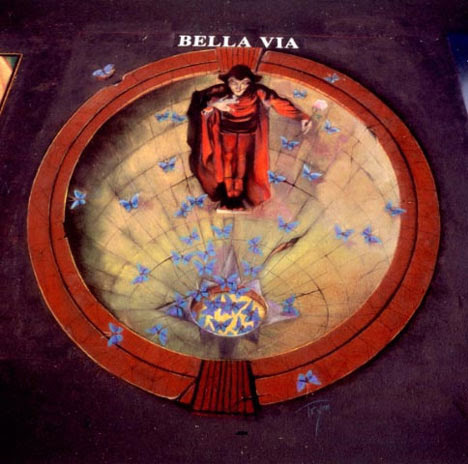 Of his paintings, Rod says “Entertaining the audience by creating an image that looks like it is coming up out of the street, or the impression of a hole opening up in the asphalt in front of you, is a special treat for the artist. 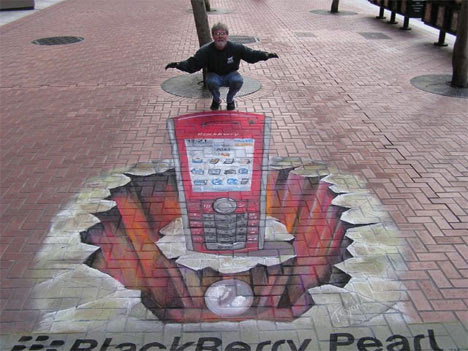 Seeing crowds react to his 3-D pastel images, bring great joy to both the artist and onlookers.